Our screening tools allow you to filter the market and find exactly what sort of company you are looking for. 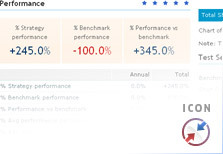 The Performance Table tool allows you to see how a selected group of companies are performing by comparing them to their peers. For example, you can see every company in an index (eg FTSE 100) or sector (eg Telecommunications) and then analyse relative performance. You can order the companies by any data point and get easy access to a wide range of information - for example price, market data, directors dealings company financials and broker forecasts. The Screener tool allows you to filter the market and zero in on only the companies that meet your criteria. 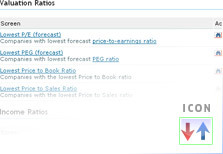 You can quickly and easily search for shares showing high yield, rapid growth, good value or strong price movement and lots more. 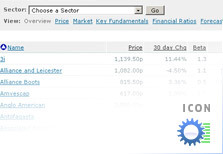 The Top Movers tool helps you to filter the market and find companies that meet a set of pre-defined criteria, such as highest dividend yield, top price risers and companies with the highest amount of director share buying. This is a quick and easy way to get started with company research.